Autolack Toyota 023 White Uni Basislack H2O 1 Ltr. Autolack Toyota 030 White Uni Basislack H2O 1 Ltr. Autolack Toyota 033 White Uni Basislack H2O 1 Ltr. Autolack Toyota 038 Ivory White Uni Basislack H2O 1 Ltr. Autolack Toyota 039 White Pearl Perleffekt Decklack 2 Basislack H2O 1 Ltr. Autolack Toyota 039 White Pearl Vorlack 1 Basislack H2O 1 Ltr. Autolack Toyota 040 Super White Ii Uni Basislack H2O 1 Ltr. Autolack Toyota 041 New White Uni Basislack H2O 1 Ltr. Autolack Toyota 042 White Perl Perleffekt Decklack 2 Basislack H2O 1 Ltr. Autolack Toyota 042 White Perl Vorlack 1 Basislack H2O 1 Ltr. Autolack Toyota 043 Super White Iii Uni Basislack H2O 1 Ltr. Autolack Toyota 045 White Uni Basislack H2O 1 Ltr. Autolack Toyota 046 Warm Grey Pearl Perleffekt Decklack 2 Basislack H2O 1 Ltr. Autolack Toyota 046 Warm Grey Pearl Vorlack 1 Basislack H2O 1 Ltr. Autolack Toyota 047 Crystal Pearl Perleffekt Decklack 2 Basislack H2O 1 Ltr. Autolack Toyota 047 Crystal Pearl Vorlack 1 Basislack H2O 1 Ltr. Autolack Toyota 048 White Uni Basislack H2O 1 Ltr. Autolack Toyota 049 White Pearl Perleffekt Decklack 2 Basislack H2O 1 Ltr. Autolack Toyota 049 White Pearl Vorlack 1 Basislack H2O 1 Ltr. Autolack Toyota 050 Super White Iv Uni Basislack H2O 1 Ltr. Autolack Toyota 051 White Pearl Perleffekt Decklack 2 Basislack H2O 1 Ltr. Autolack Toyota 051 White Pearl Vorlack 1 Basislack H2O 1 Ltr. Autolack Toyota 053 Ivory White Uni Basislack H2O 1 Ltr. Autolack Toyota 054 White Uni Basislack H2O 1 Ltr. Autolack Toyota 055 Clear White Uni Basislack H2O 1 Ltr. Autolack Toyota 056 White Uni Basislack H2O 1 Ltr. Autolack Toyota 057 White Pearl Perleffekt Decklack 2 Basislack H2O 1 Ltr. Autolack Toyota 057 White Pearl Vorlack 1 Basislack H2O 1 Ltr. Autolack Toyota 058 White Uni Basislack H2O 1 Ltr. 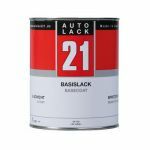 Autolack Toyota 059 Purplish White Uni Basislack H2O 1 Ltr.